To provide a more detailed Comparative Market Analysis, we would be more than happy to also assess your listing in person. We have a team of agents, stager, landscape, cleaning crews to make your home standing out. My analysis is the same as what the bank/appraiser use. It gives a comprehensive comp of similiar properties and come up with a fair valuation for a 30 day, 60 day sale. 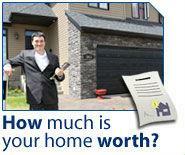 This is an mini-appraisal without measurements allowed.